“Nose to tail” eating means exactly that, you eat the whole animal, nose to tail. Bones, marrow, organs…nothing goes to waste. While “nose to tail” eating and organ meats (aka offal) were shunned over the last several decades, becoming almost taboo, it is exciting to see the resurgence of consuming the whole animal and a renewed interest in traditional ways of eating . 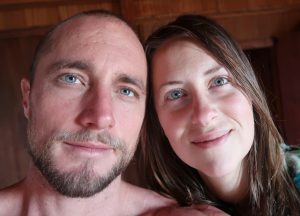 During our quest to optimize our daughter’s health after my pregnancy, my husband and I discovered homemade bone broth and organ meats as sources of minerals, fat soluble vitamins, and essential nutrients. I actually enjoy preparing and consuming offal on a regular basis now and our family is reaping the benefits of a diet high in DHA from fish and loaded with vitamins and minerals from organ meats. Traditionally, organ meats were never discarded or neglected – in fact they were some of the most prized parts of an animal in many cultures. Here in Ecuador the liver and kidneys are among the most sought after pieces of the animal. 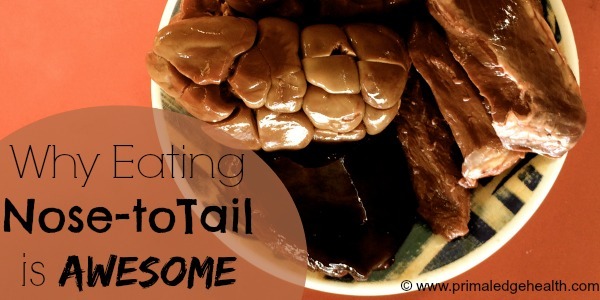 There are many benefits to developing a taste for the lesser known parts and you can easily learn to confidently use the organs, bones, and all parts of the animal to boost your nutrition and improve your health. It doesn’t take much more than an open mind and willingness to try something new – before you know it you’ll be sipping bone broths, munching on liver, and will have a close relationship with your local butcher. Respect the “circle of life” – When your meat is packaged in an individually plastic wrapped tray, it’s easy to feel separated from the animal you prepare to put in your body. When you are presented with a part like brain, liver, or tongue, it is so similar to your very own that the connection between your body, your life, and your environment is inescapable. I had a profound moment when I was mentally preparing to try (raw) brain for the first time. This little squishy thing was recently powering another living thing. It signaled motor functions, controlled hormones, and processed sensory input. Now I’m about to eat it…wow. I appreciate the animals my family eats, I appreciate the environment they grew up in, and I appreciate the people who tended to these creatures and those that made it possible for me to have access to nutrient dense, clean, healthy food I can share with my family. Bones and Organ meats are economical This holds true, no matter where you live. Check out our video about our experience buying organs at the open air market in Ecuador. Discovering animal odd bits is an exciting process and a great way to get healthy, nutrient dense foods into your budget. Fish heads are an awesome way to get loads of bioavailable DHA into your diet cheaply. Even grass-fed offalproducts can still have a low price tag. Be resourceful in your “hunting”, buy from local herders or ethnic markets. Always buy in bulk when you find good deals and freeze what you are not going to immediately use. 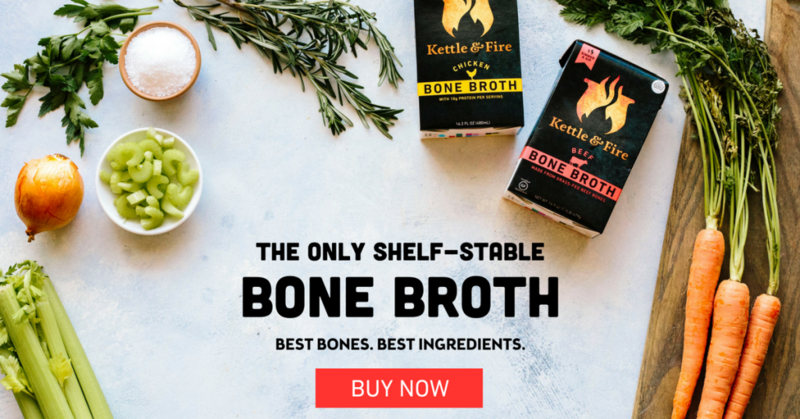 Wide range of nutritional benefits Bone broth is a powerful one-stop-shop for electrolytes, collagen, glycine, and proline. Organ meats are incredibly concentrated animal-based sources of vitamins, minerals, dietary fats, and amino acids. Nothing short of a “superfood”, organs are dense with B vitamins, iron, phosphorus, copper and magnesium. Additionally, they are filled with the most important fat-soluble vitamins, A, D, E and K. I sometimes watch animal documentaries with my daughter and have learned that wild animals instinctually know the importance of organ meats. Lions and wolves eat the liver first, followed by the kidneys, other organs, and fat. The muscle meats are last to be consumed. Brain is loaded with DHA, protein, and fats. Liver is without a doubt one of the most nutritionally dense parts of the animal. The Liver Files discusses the nutrition and lore behind what is “our most sacred food”. Be brave and adventurous; enjoy the health benefits of regularly consuming organ meats. To maximize your health, I recommend organ meats from grass-fed sources as animals raised in confined animal feeding operations (CAFOs), fed veterinary drugs and grains are likely to have poorer quality organ parts. I suggest starting with the three organ staples: liver, kidney, heart, and brain. They are all relatively easy to find and prepare. If you cannot source locally or through EatWild, US Wellness offers a variety of poultry parts, beef and bison bits, as well as organ meat sausages (a great option if you would like to “disguise” your offal). Related: US Wellness Meats sells quality grassland meat products – Visit them Online! Browse through my collection of Organ Meats and Odd Bits. 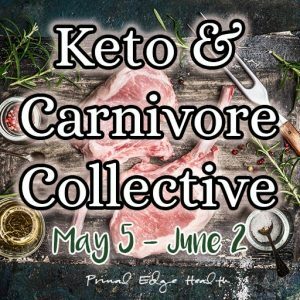 The Curious Coconut’s Ultimate Offal and Odd Bits Recipe Round-up shares 100+ recipes, it truly is the ultimate recipe post! 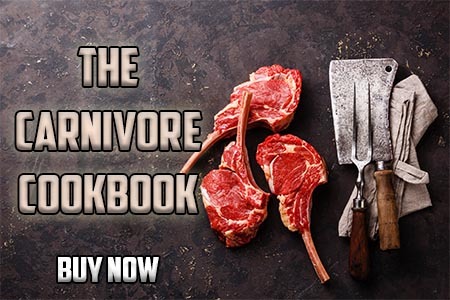 Organ meats are no longer reserved for the culinary connoisseur, check out these recipe resources and bring offal into your kitchen! The Complete Nose to Tail by Fergus Henderson is a new edition that combines his two acclaimed cookbooks, Whole Beast and Beyond Nose to Tail. Nourishing Traditions by Sally Fallon is the classic reference book for traditional food recipes. This book is more than just recipes, there is interesting trivia, history notes, and folklore stories through-out the book, Fallon’s work is a huge inspiration for me! Odd Bits by Jennifer McLagan is a beautiful coffee table type book. McLagan discusses the history of our separation from nose to tail eating, then dives into all the nitty-gritty bits with recipes for them all. Follow Jessica’s board Nutrition Matters on Pinterest.